You strive every day to put your best foot forward, but sometimes acne scars, brown spots, and unwanted tattoos make you feel self-conscious about your appearance. Because makeup and skin creams can only do so much, noninvasive laser therapy is becoming an increasingly popular option for patients with imperfections. 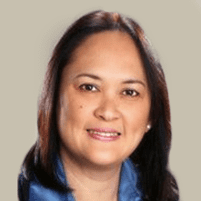 Anna P. Abalos, MD, a board-certified family practitioner in Roseville, California, offers PicoSure®, an FDA-approved cutting-edge laser treatment that repairs skin at the cellular level. Schedule an appointment online or by calling the office today. Using short bursts of laser light, PicoSure breaks up minuscule particles of pigment and tattoo ink in your skin to reduce discoloration and signs of aging with minimal downtime. A new class of aesthetic laser technology, PicoSure delivers light at lightning speed, in picoseconds to be exact. The abbreviated bursts help cut down on the amount of heat hitting your skin during the procedure. By using a unique wavelength and a special lens to transform light energy into gentle pressure, PicoSure “squeezes” individual cells in your skin. This process triggers the formation of healthy collagen and elastin, which aids in healing. What does PicoSure laser therapy treat? In 2017, providers performed more than 3 million procedures using lasers, light, and energy-based devices for a variety of skin conditions, according to the American Society of Dermatologic Surgery. Though PicoSure is recommended for all skin types, certain wavelengths of light work better on some skin types than others. You’ll want to ask Dr. Abalos which laser therapy option would work best for you. What should I expect during PicoSure treatment? PicoSure therapy generally lasts 15 minutes or less. You should feel minimal pain during the procedure if you’re seeking treatment for anti-aging concerns. Patients describe the feeling as a rubber band snapping against their skin. You may experience a higher level of discomfort for tattoo removal. Dr. Abalos may apply numbing cream to lessen pain. What should I expect after PicoSure treatment? You may see swelling or redness in the treated area. Most patients say these effects go away within 1-3 hours. You’ll be able to apply moisturizer and makeup and return to your regular daily activities immediately following treatment. You may see improvement in the treated area after just one or two sessions, though results will vary depending on skin type, skin concern, and the size of the treatment area. Before you begin a PicoSure session, Dr. Abalos will discuss your recommended course of laser therapy and the results you can expect. If you are struggling to cover up your scars, brown spots, wrinkles, or tattoos, schedule a PicoSure consultation today by calling Dr. Abalos or using the online form.